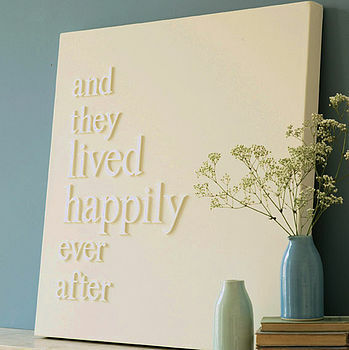 Browsing Pinterest I came across a beautiful canvas art piece by Gorgeous Graffiti, based in the UK – A simple one color canvas with 3D lettering in a variety of lyrics and phrases. 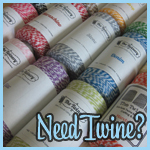 When I saw this I thought it would look fantastic as wedding and event decor and would be a really simple DIY that would be fully customizable to your event! If you are painting the letters a different color than the canvas you will want to paint them and allow to dry. 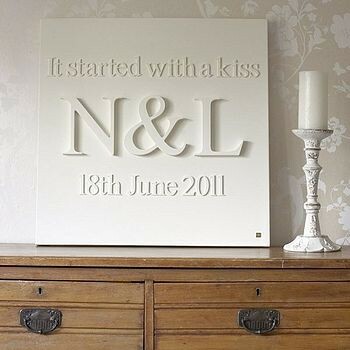 Take your letters and arrange them on the canvas until you are happy with how they look and glue them in place. Allow glue to dry. That’s it! SO simple and it will be a beautiful custom piece at your wedding or party! I wish I had seen something like this back when I got married in 2009…I would have totally made one for my big day! 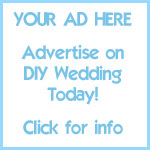 If you decide to make one for your wedding or event please take photos and share. Would love to see what your creative minds come up with!